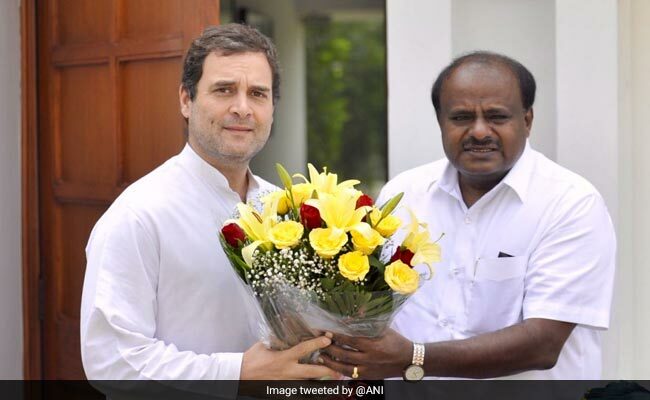 Karnataka Chief Minister HD Kumaraswamy today met Congress President Rahul Gandhi here and urged him to take early decision on cabinet expansion of the coalition government. In a brief meeting with Rahul Gandhi at his residence, Mr Kumaraswamy also apprised him about the 100 day performance of the coalition government. "In the meeting, I have requested Congress President to take early decision on expansion of the cabinet and appointment of corporation Boards chairman," Mr Kumaraswamy told reporters after the meeting. Mr Kumaraswamy's discussions with Rahul Gandhi also comes on the eve of the JD(S)-Congress Coordination Committee meeting scheduled tomorrow to iron out differences in the alliance that has arisen after Mr Siddaramaiah's remarks about becoming the state chief minister again. Asked about the remarks, he said: "He (Siddaramaiah) is a leader. If he expresses desire to become chief miniter, what's wrong in that." "The coalition government is secure under the leadership of Siddarmaiah. Siddaramaiah is necessary for the coalition government to run safety," Mr Kumaraswamy said. Already, Mr Siddarmaiah has given clarification that he would become the chief minister if people desire in the next election, Mr Kumaraswamy said. "Despande (senior Congress leader) too may have desire to become chief minister. There is no no need to interpret and understand it in a different way," he added. RV Despande is a Revenue Minister in the coalition government in Karnataka. 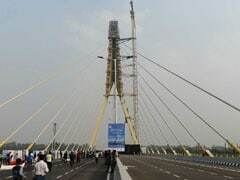 Asserting that the coalition government was successful in completing 100 days in the state, the chief minister said: "People in the state have various expectations. My first goal is to fulfill their expectations in the coming days." "The 100 days of honeymoon period is over and the government will start implementing the blue print in the coming days," he added. The chief minister further said that the government was successful in taking officers into confidence. They have to work considering the wave length of the coalition government, he added. Already, the government has announced farm loan waiver and given certain directions to officials to implement the budget proposals, he stressed. Mr Kumaraswamy is also scheduled to meet the President Ram Nath Kovind and Home Minister Rajnath Singh to submit proposal seeking relief to flood hit Kodagu in the state.